Updated January 09, 2019 – In the unfortunate event you or perhaps a family member are coping with diabetes you should be aware of its consequences on the body and mind. Diabetes is usually termed the “silent killer” mainly because it strikes the body slowly and without warning. Newly diagnosed diabetic patients are usually not worried about it since their symptoms are often no more severe than recurrent urination and increased thirst. A number of other individuals have no symptoms at all. Stem Cell treatments for diabetes and functional medicine look to fight the disease at its origins in the pancreas. Decreasing hyperglycemia as well as associated complications (see above). 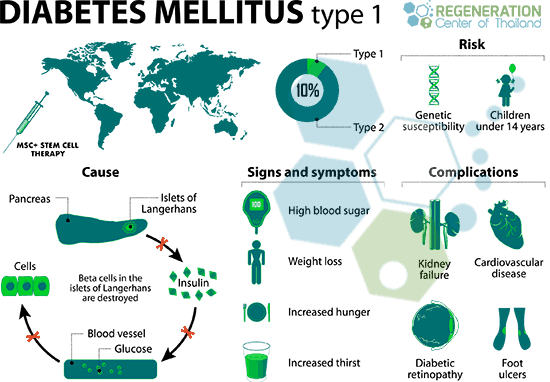 Type 2 diabetes: results from insulin resistance, a condition wherein cells are not able to use insulin appropriately, sometimes coupled with a complete insulin deficiency. 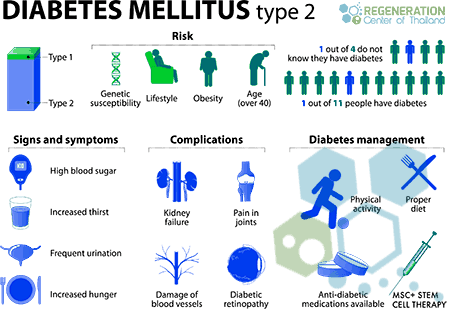 – Type 2 is often an acquired disease and if caught early is a very treatable condition at the regeneration center. Long-term risks of having diabetes include retinopathy (loss of vision), diabetic nephropathy which leads to kidney failure, peripheral neuropathy ( foot ulcers that lead to amputations or charcot joints ), and autonomic neuropathy that causes genitourinary, gastrointestinal, cardiovascular symptoms with sexual dysfunction. Patients diagnosed with diabetes also report increased occurrences of peripheral arterial disease (PAD),atherosclerotic cardiovascular disease and cerebrovascular disease. Other complications include Hypertension and severe abnormalities of lipoprotein metabolism. Many patients can also impair insulin secretion because of pharmaceutical medications they are taking. These medications do not directly cause diabetes, but they may might lead individuals to become insulin resistant. Gestational Diabetes: is when pregnant women, who’ve never had diabetes before, have a high blood glucose level while being pregnant. It may precede development of type 2 DM.- We currently cannot treat Gestational diabetes with stem cell therapy. Can Stem Cells Cure Diabetes? Please note patients with severe or multiple conditions may have travel restrictions and unable travel to Thailand. All potential candidates seeking treatment for DM must be approved in advance using current/actual medical records and results from recent blood panels including HbA1C, fasting plasma glucose (FPG), oral glucose tolerance test (OGTT), Blood pressure and Lipid profiles. Depending on the patient’s medical needs, Diabetics are most often treated by isolated and expanded MSC+ Cells along with ductal epithelial cells,β-cells & pancreatic islet like cells. Older patients or severe cases with multiple underlying conditions will require enhanced allogeneic stem cells (Cord tissue derived w/ anti-HLA antibodies) that are differentiated into glucose-sensing, insulin-producing beta cells. Number of Stem Cell Infusions: 2-8 injections of clinical grade MSC+ Mesenchymal stem cells,pancreatic progenitor cells and β-cells of pancreas (per treatment stage). Type of Injections: Pancreatic endocrine cells differentiated to beta cells and delivered to the patient via IV Drip or combination of sequential Intrathecal injections. Medical visas and accommodations for extended stay can also be included at an additional cost. 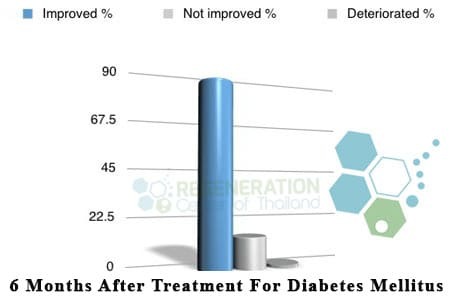 The cellular treatment for Diabetics and neogenesis of β-cells & pancreatic islets will require a minimum of 14 nights in Bangkok. The costs for treating Diabetes with MSC+ cells will depend on many factors including current health and the existence of any other underlying medical conditions. To pre-qualify for treatment and our doctors will need to review the patients relevant medical information and recent blood tests. Upon approval, a complete treatment plan will be provided that includes all medical related costs including stem cell extractions, expansion. To learn more about treatment of Onset DM using Adult stem cells please contact us today. Hello Mr Andrews, Thank you for contacting us. We have emailed you information that you requested about treatment for Type 2 diabetes. Hello Mr Firdous, Thank you for contacting the Regeneration Center. We have emailed you more information about your treatment of Type 2 diabetes. Hello Mrs Alessandra, Thank you for contacting us about your treatment for Type 1 Diabetes. An email was sent to you with the information requested. Hi I have type 2 diabetes. Can you please give me some information on what are the steps to take for stem cell treatment. Hello Mr Ristov. Thank you for contacting us about treatment for type 2 diabetes. An email was sent with the information requested. How much does the stem cell treatment for type 2 diabetes cost? What is the cost of stem cell treatment in type 2 diabetes with co existing hypertension? What is the cost for stem cell treatment for type 2 diabetes? I have been treated for Type 2 Diabetes since 2009. Presently on oral medication, age +66, take medication for high blood pressure, weigh 96 kg, height 5ft4inches. can stem cell reverse my D2T? I have a friend with type 2 diabetes how much does it cost for that type diabetes to cure? I'm type 2 diabetic and had my diabetes controlled but Metformin has stopped working for me. Im trying a low-carbohydrate diet to keep my insulin needs as low as possible but not getting anywhere. For somereason none of my doctors are aware of stem cell therapy for diabetes and keep telling me to go back on metfromin or januvia but this seems like a waste of time. Is there clinica trials for diabetes yet? how can i get more information? I have type 2 for 6 years can it help me? 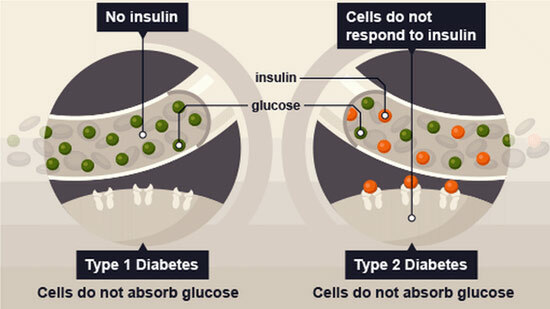 I am considering stem cell treatment for diabetics, type 2. Does this stem cell treatment cure your diabetes, so you can do away with the insulin injections and metformin? Hello I have type 2 diabetes and now have started to having kidney problems. I want to come to Thailand for treatment. Can you treat both at the same time or do i have to come two times?? Two years ago my husband was diagnosed with Diabetes Type 2 and his condition seems be be getting worse. We did change his diet but his A1C results are getting worse. He gets depressed because our doctors here are not being very helpful and keep pushing new medications on him that have terrible side effects. Can someone in your clinic advise us on what to do? 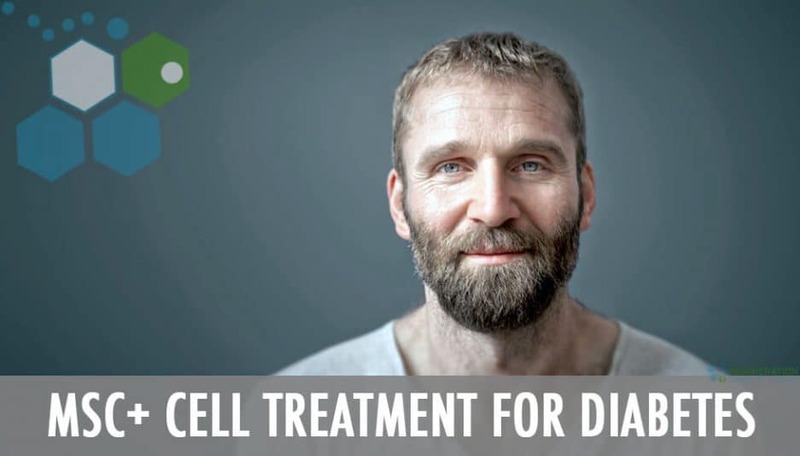 maybe give us some advice to see it stem cell therapy can treat his diabetes. We would appreciate it. We don't have the same treatments Honolulu so we are considering coming to Thailand to see your medical specialists. Please contact us. dear sir,I have DM. I am interested in stem cell therapy. I like to know about the estimated cost and duration of this therapy. I had treatment for type 2 diabetes last year using adipose fat stem cells but the results were not good. I am now back again on daily Avandia because my condition not improve and now getting worse. I read about your treatment for diabetes using cord blood stem cells in the Eurostem cell website and am very interested. I do not want to keep taking oral medications and insulin injections. Please help. I want to know is there any complications or side effects after the b cell treatment?